China Glaze's Rendezvous With You is jam packed with glitter and went on super opaque in fact it was so opaque I was able to get away with only one coat to achieve my final results! I'm sure it will a blast to remove (that's totally sarcastic) and I will have to use the coat ball soaked in acetone & tin foil trick but it's totally worth it! I love the shade of purple and the glitter looks awesome in the sunlight! Pretty color! I love anything purple. I can't believe that's only one coat. I find that these kids of polishes can be so spotty but then two coats end up globby! Nice execution! I so should have picked up this color over the weekend. I was buying a few and almost bought this one. Totally should have. LOVE this color! Purple is my favorite color. I also can't believe that this is one coat? I love China glaze because it lasts and lasts, but that coverage is also awesome! I'm a purple-holic, I love anything purple now I must got and find this color NOW!!! Ooh that's pretty! Love the sparkles! I love the glittery purple! I've been on the hunt for the perfect shade; this one is gorgeous! 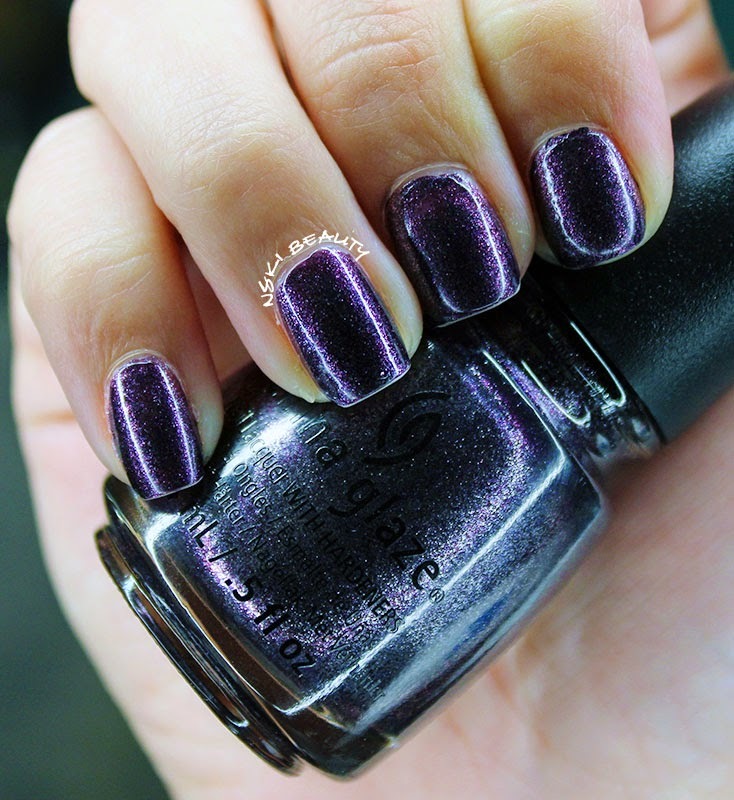 I'm not usually into dark polishes but this looks so pretty! That is really one coat?! God what a stunning color, that'll be perfect for fall...now the trick is to find it without it being sold out everywhere! Oh my gosh, this color is beautiful! I love the glitteryness!